Enamelling is the art of fusing glass to metal. Learn how to use different enamelling techniques to create a variety of pieces that can be made into mounted pictures, key fobs, fridge magnets and even simple jewellery. 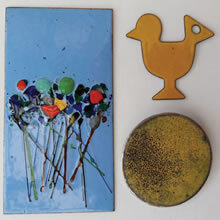 This workshop is primarily for beginners but anyone who has enamelled previously is also welcome. You will complete several items on the day. 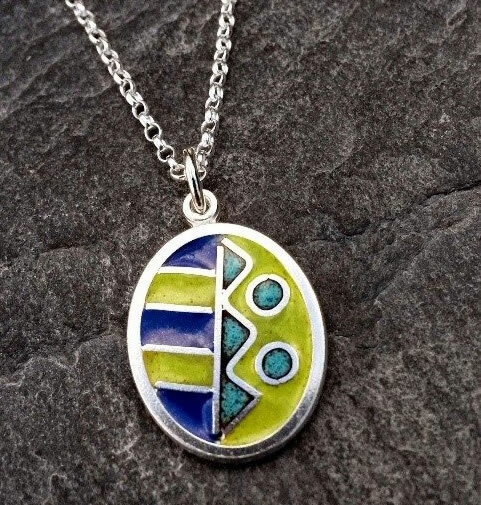 Learn the basics of enamelling on fine silver and create a beautiful cloisonné enamel pendant. Learn how to prepare the silver for enamelling and then how to shape the cloisonné wires. Exploring more advanced enamelling skills, as well as preparing and wet-laying, you will then fire your work. After firing, you will learn how to polish and finish your work to a professional standard. Through the art of fusing glass to metal, you will design and finish several pieces of jewellery by the end of this workshop. These might be a pendant, brooch or a pair of earrings. 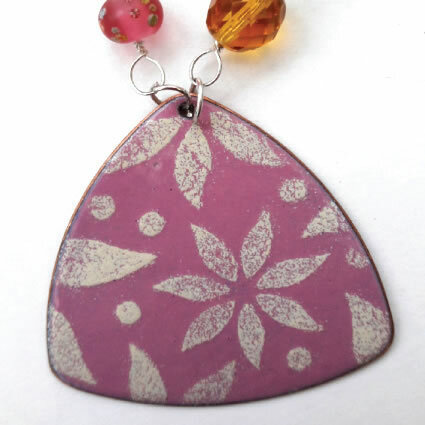 Explore colour and create stunning surface designs using a variety of enamelling techniques, stencils, rubber stamps, glass threads and millifiore. Learn how to finish your jewellery to a professional standard.